Blackboard is a fast moving enterprise in the education sector with a flag ship product called Blackboard Learn part of a bundled platform which consists of seven platforms called Learn, Transact, Engage, Connect, Mobile, Collaborate and Analytics. They are the leaders in bringing digital learning into the classroom. The Blackboard team reached out to ILERRA for an enterprise solution that would help them optimize and streamline their operations & improve overall productivity. Being a product focused company, they received many support requests from their users, ILERRA stepped in to support the creation of internal solution so they could stay focused on their mission. The challenges we faced were not uncommon when implementing process improvement & automation, and our approach included strategy consulting, technology consulting, design, and development using an inclusive approach, putting communication and common objectives as our guideline for implementation. Taking an iterative and agile approach, we worked with the team to understand the goals, and collaborated with the process owners over multiple sessions to gain a clear understanding of how this project aligned with their greater organizational strategy. Collecting detailed requirements from internal and external stakeholders enabled ILERRA to develop and customize a solution that offered a similar process with the addition of increased functionality with enhanced productivity for the internal team and a better customer experience for their users. 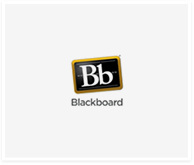 Working with Blackboard we gave a voice to the end users by including them in process and development decisions. UI/UX, Enterprise Solutions Delivery, Process Improvement & Automation. Seamless transition from one system to another resulted in both high client satisfaction, as well as a positive user experience. Blackboard had a high satisfaction rate from their users as well as a noticeable improvement in communication which resulted in brand enhancement. 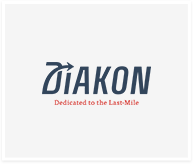 Diakon Logistics is one of the leading home delivery carriers and third-party logistics companies in the nation. Diakon provides leading retailers with knowledge-based, integrated logistics solutions backed by dedicated resources, innovative technology, and highly committed professionals. Opportunities were discovered through close collaboration, analysis, data, metrics, reporting, and finally a technology solution that was closely aligned to the company’s workflows and based on a solid strategy following the discovery. Diakon Logistics is not a technology company. Since they have started working with us…they are starting to think like one. Taking an iterative process & people centric approach, we worked with the team to collect data from various inputs & outputs, taking in a full understanding of the scope of services and the operational functions needed to service Fortune 100’s such as Best Buy & Sears. With the data and knowledge in hand, we were able to identify areas where they could maximize their strengths and create recommendations for a solution that addressed both process improvement & automation while supporting their mission critical applications. Because of Ilerra’s engagement and thorough analysis of the systems, they have optimized and enhanced security and reliability of their core solution, as well customer facing updates to the system which is resulting in a better customer experience, further strengthening their brand image. Would you like to see an ILERRA case studies specific to your industry?